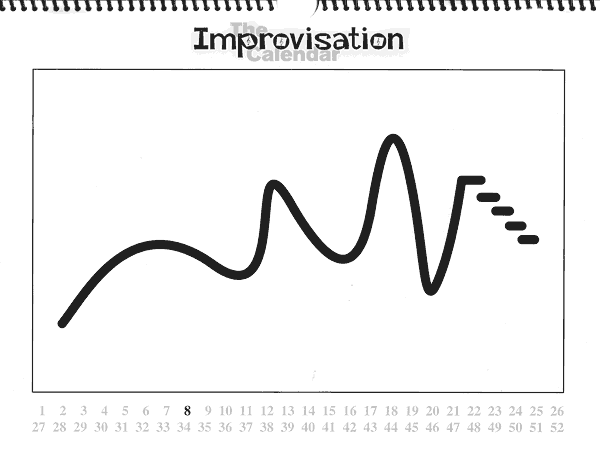 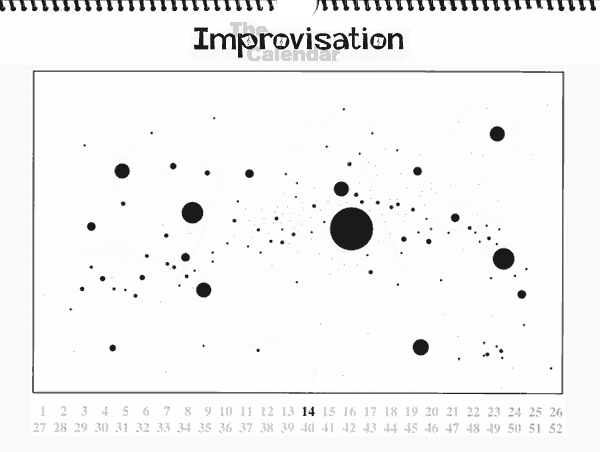 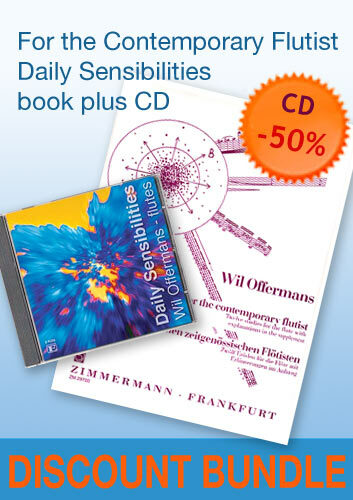 The Improvisation Calendar is a calendar-like book with 52 'composition' by Wil Offermans. 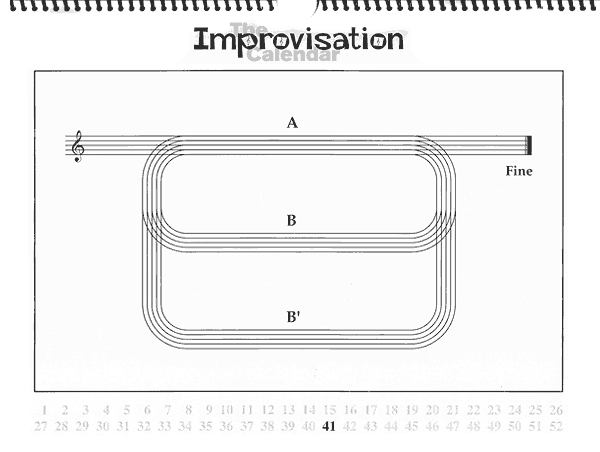 Each can be used as a 'music score' to initiate an improvisation. 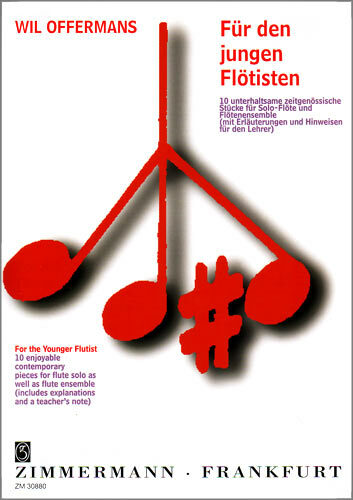 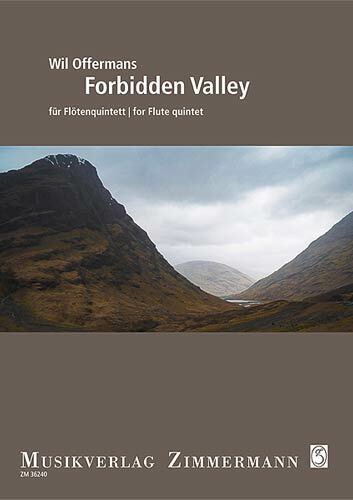 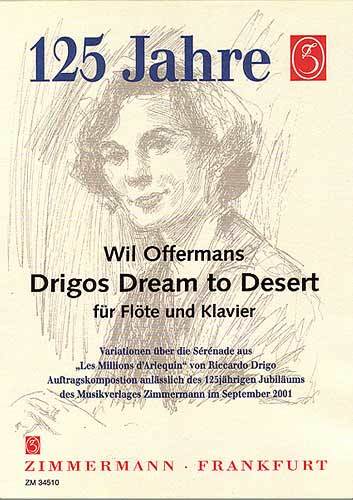 The book can be used in many circumstances, with all kinds of levels and with any instrument(s). 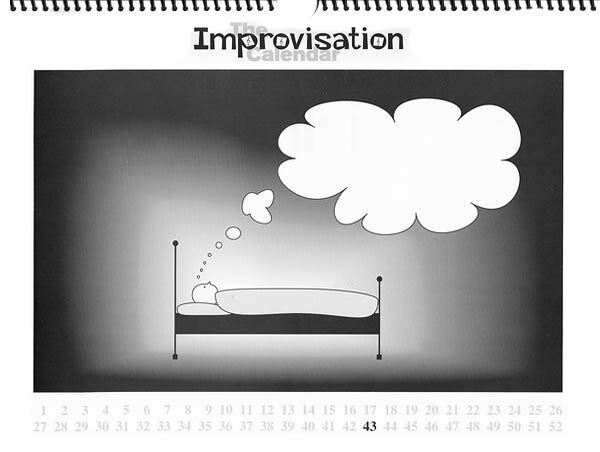 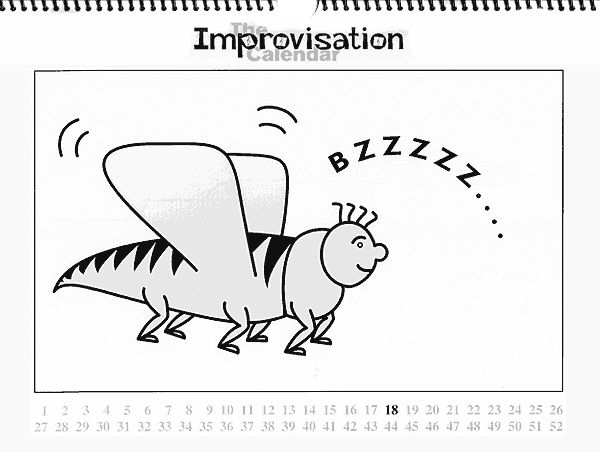 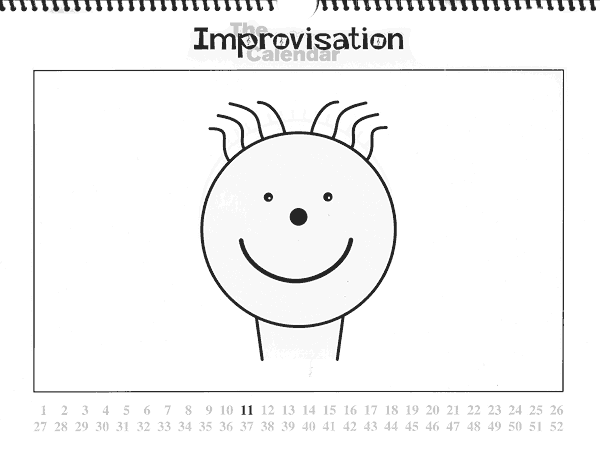 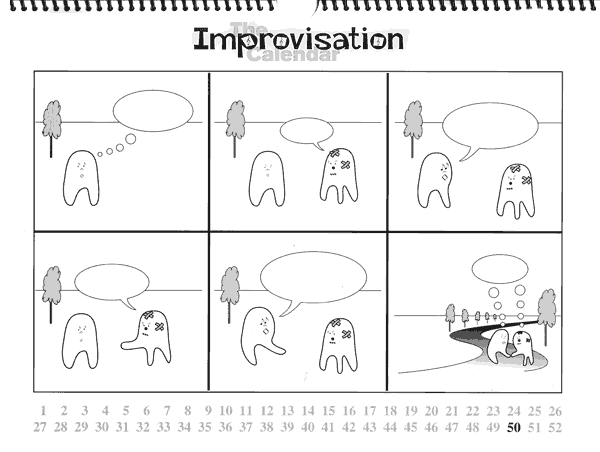 For each week of the year The Improvisation Calendar provides an exciting and enjoyable illustration which can be used as an starting-point for an improvisation. 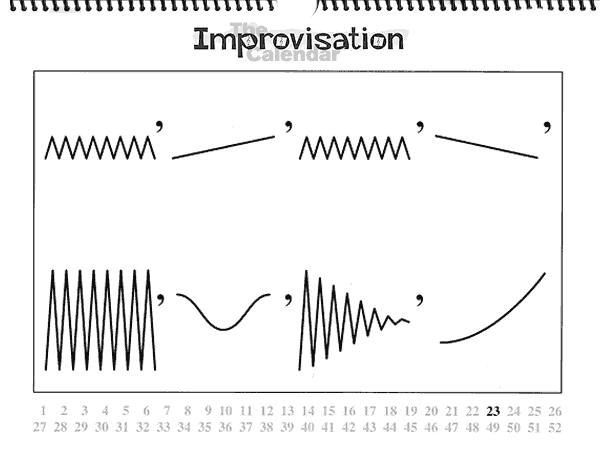 These illustrations are written in a graphic notation, a variation of the traditional music notation or with an image expressing a specific impression, atmosphere or feeling. 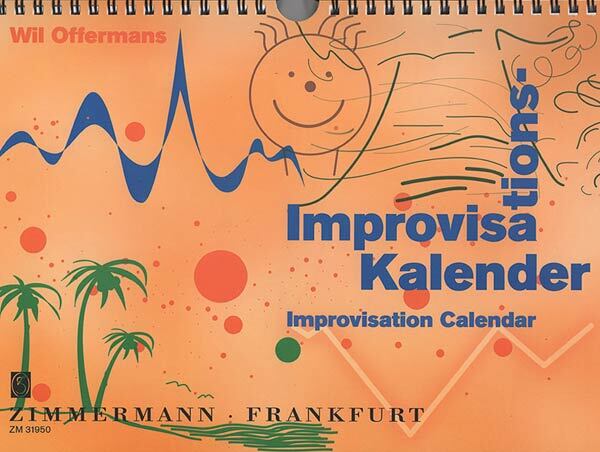 Hang the calendar on the wall at home so you can look at it during the week and image the right atmosphere of your improvisation. 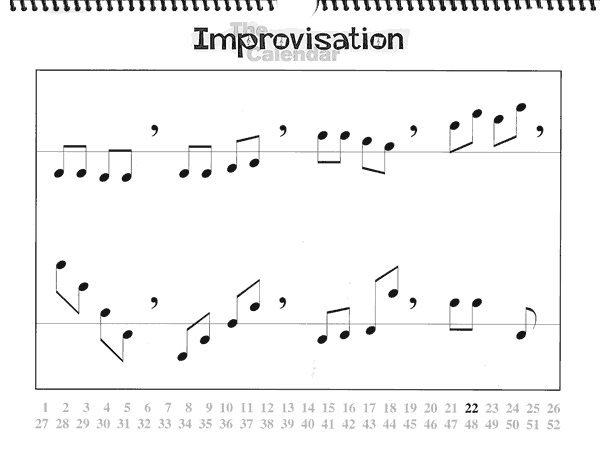 Once a week turn the page and try a next piece. 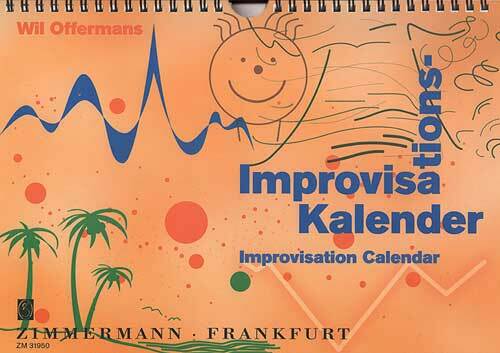 The calendar also can be used as a lesson material to develop improvisation. 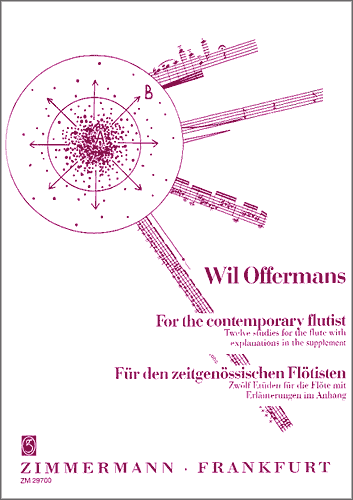 instruments: any instrument, voice, etc.